Electro Optical Components introduces long lasting Ammonia (NH3) electrochemical sensors with up to 10 times longer lifetime performance than existing products. The SemeaTech Ammonia (NH3) electrochemical sensors have a new electrolyte that lasts longer (up to 10 times longer) than conventional sensors. 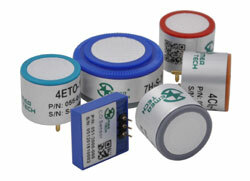 These long life sensors are available in ranges from 0 to 100, 500, 1000, 2000 or 5000ppm. They are ideal for monitoring toxic NH3 refrigerant gas leaks. SemeaTech offers a full line of electrochemical sensors for detecting hazardous materials and gases for work safety and environmental protection.